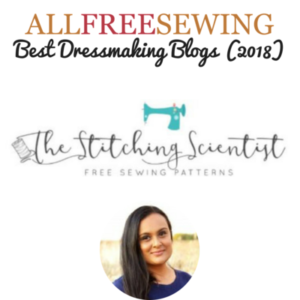 Everyone, I am so excited to share with you that I made the list of Best Dressmaking Blogs from All Free Sewing! I honestly just started sewing a few years ago so making a list like this is a nice treat! 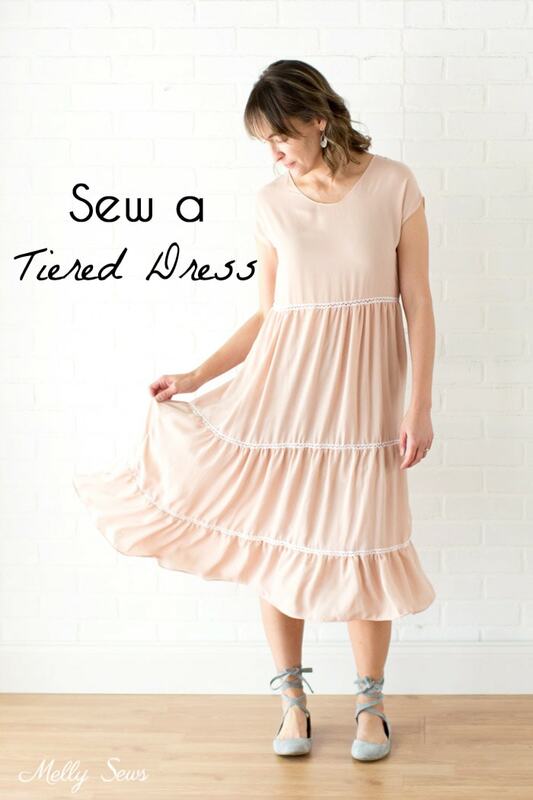 If you are looking for a DIY dress to make for yourself or a loved one, you are sure to find one from one of these blogs. They all have free sewing patterns and or tutorials to choose from for women and little girls. Sewing dresses can be very intimidating, especially if there are zippers, collars and darts. I still can’t quite figure out how to do the invisible zipper. It takes some really good detailed explanations and pictures be able to convey the instructions to DIY sewers. It is actually not as easy as you would think. So, kudos to all the bloggers out there that give out the patterns for free, take the time to the do exceptional pictures and package it all together so that you recreate the project. One of my favorite dresses I have ever made on this blog is The Brooklyn Empire Waist Girls Dress. It comes in an array of sizes can be worn throughout the year. It really makes for a great gift for that special lady in your life. This will work well for the summer day at the beach or just lounging at home. It looks like it would be easy for a beginner to do as well. The blogs is filled with DIY dresses! You are sure to find one to fit your needs. Melly never fails to deliver on detailed instructions and images to easily follow. This Day Date dress from Elle Apparel is one of the most popular in the DIY Dressmaking world. I definitely have to try this. It will work well for a date, work or just lounging. I love projects that are simple and this Boat Club dress from Sew Caroline looks like one of those dresses that you can whip up in under an hour and be on your way. If you aren’t following Merrick, you need to! She gives really easy tutorials on refashioning and DIY projects. She made this Mod Dress look really simple to make. I definitely have appreciation for anyone that can refashion ugly garments into stunning beauties. Chonie’s Confession from Refashionista does not fail on this one. We all need a Dolman Dress in our closet. Try this simple pattern from Sew Much ADo. I have to admit that I never heard about this blog until I saw it featured for dressmaking but now I am hooked. This 50’s inspired dress is definitely on my list to make this year. If I had a patience for shirring, I would totally do this pretty dress. Looks so beautiful on her! This would be really good for work with a blazer. Tshirt dresses are so comfortable and can be dressed up or down with either accessories or a denim jacket. Looks like a nice pattern to try! Here is a recent pattern that I released this summer. It turned out so lovely with all the strips aligning. Did you try it yet? I hope you all try one of these dressed featured on the Best Dressmaking Blogs! Thanks for visiting and Happy Sewing.